The Kimber Mountain Ascent is the lightest production bolt action big game rifle available today. 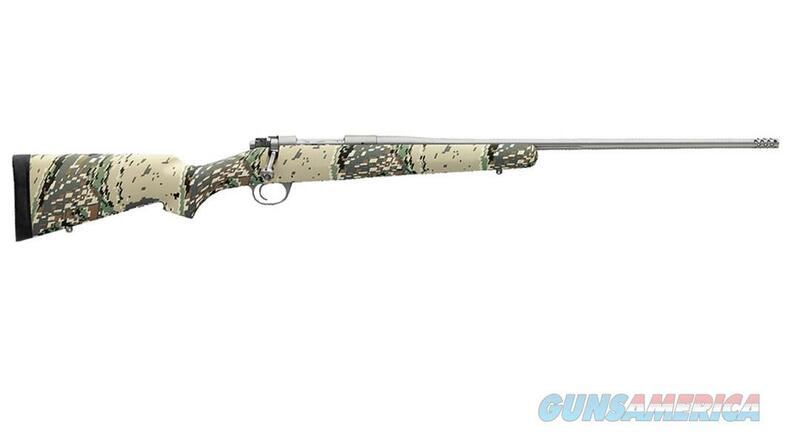 This durable and accurate Kimber 8400 Mountain Ascent 7mm Rem Mag rifle features a Kevlar/carbon fiber stock with pillar and glass bedding, an Optifade Open Country finish, adjustable trigger, stainless steel action, 1" Pachmayr decelerator pad, removable, muzzle brake, and a fluted match grade barrel. Special weight-reducing features include a spiral fluted bolt body, fluted and hollowed bolt handle, and a lightweight trigger guard.